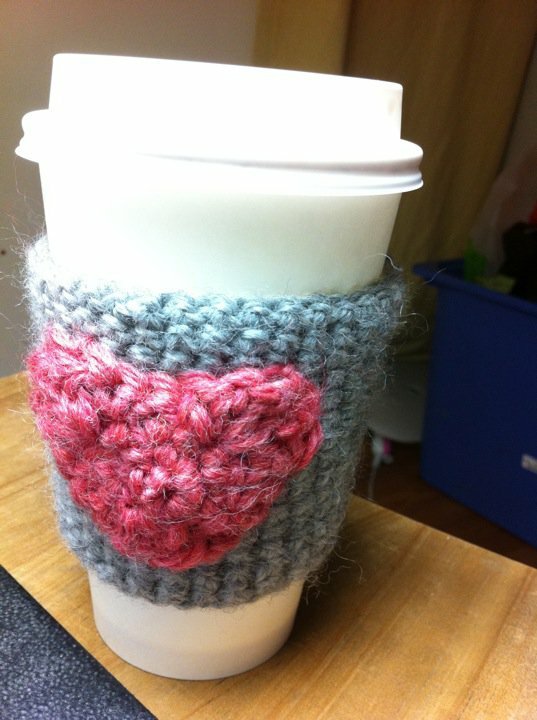 A crocheted coffee sleeve! Inspired by The Cozy Project on Etsy. I wish I can say that I used a pattern, but really I was just winging it. Had a Starbucks Grande size paper cup on hand, and with every completed circle, I had a “fitting” to ensure it went well. As for the heart, I used this pattern from Planet M Files. Scrap yarn and small crafts are SO much fun!